As a business owner, retail manager, or even customer, you notice even the smallest details when it comes to advertising. Those subtle hints are everywhere, but where you can catch the most attention is often with personalized custom printed paper bags. You have precious few opportunities to put your brand in a customer’s hand, so why not make a simple change with custom-made paper bags? Display your company or organization’s logo prominently on the front of a paper bag and you’ll take full advantage of a simple, yet wildly successful, form of advertisement. Personalized lunch bags and printed paper bags promote word-of-mouth referrals and offer the exposure your company needs. You are giving customers a lasting impression and a reason to refer you to others, without even saying a word. By packaging purchases in these Kraft paper bags, you let your customers showcase your business name as they shop from one store to the next., Carrying a bag around that displays your customized business name and logo does more than you might think. 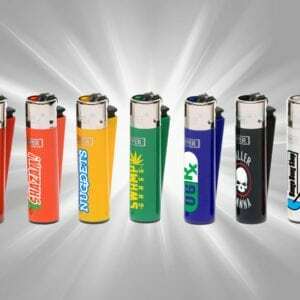 This type of exit packaging is also a way to let your customers know that you want them to be loyal fans because you’ve given them something that shows you appreciate their support. 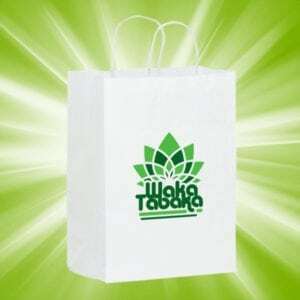 Why Advertise with Custom Paper Bags? All of the biggest stores in the world advertise with printed paper bags. Shoppers worldwide can be seen carrying branded paper bags from their recent purchase. McDonald’s hands out their famous white lunch bag with golden arches, Starbucks uses natural craft paper bags with the green Starbucks mermaid on the front, and Gucci gives their customers shopper bags with a twisted paper handle. The world’s biggest brands promote their logo on custom-designed printed bags. People are social. One loyal customer carrying your logo merchandise bag can become a fan promoting your brand to friends and family. Kraft paper bags with logos on them are made in the USA. 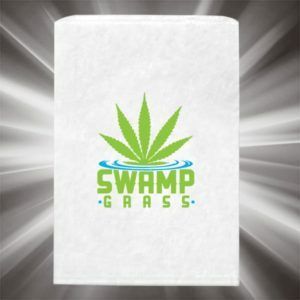 They are also 100% eco-friendly. If you’re passionate about your brand being eco-friendly, then promoting on natural paper bags creates a positive first impression. There is a heightened awareness of social responsibility among everyone nowadays, and taking care of Mother Earth is extremely important to the majority of customers. Kraft paper makes use of recycled paper content to create a bag that is natural, reusable, and recyclable. With a plethora of production facilities across the country, bags are made and printed here at home, instead of outsourcing to other countries. While the practicality of using custom brown paper bags to package your products is obvious, what you may not realize is that paper bags have become fashionable. They are seen as, a re-usable fashion statement. These recyclable, biodegradable, custom-made paper bags have many uses that your customers will find even more valuable, beyond the obvious reason of carrying items from a store to their next destination. Many consumers like to store coffee or tea leaves in brown paper bags to keep them fresh. With your logo on display in a customer’s home, you reap the benefits of providing a reusable bag and a décor item that markets your business. Your company’s name will stick with them, especially when they look at a bag displaying your business every morning. Make your personalized lunch bags a popular item for kids. Parents and kids alike can re-use your custom brown paper bags with your logo on the front. From storing snacks on a field trip, to packing daily lunches and carrying lunch bags on their commute, your logo and company name on the front of their lunch bags can even become a staple in homes. Custom-made brown paper bags are ideal for storing spices. The high-quality, recyclable bags help to lock in the freshness of each spice while keeping pests away. Promotions can be time-consuming and expensive, especially when you are doing it for your own business. 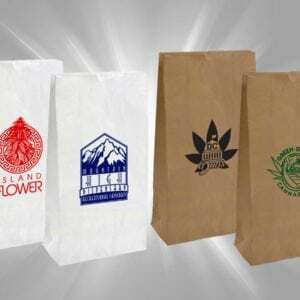 But, you can save money and time on advertising when you showcase your logo on custom paper bags. It’s less forced because you’re placing your advertisement on something people will use naturally. Distribute Kraft paper custom bags that are earth-friendly at trade shows, events, schools, and even in store to help promote your company. Custom paper bags helps you build brand identity, too. Placing your colorful logo and company name against a natural tone will help your business stand out even more. 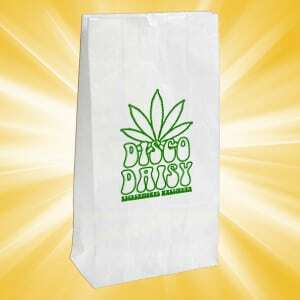 Printed paper bags come in a variety of sizes and shapes – from lunch bags to popcorn bags – to fit merchandise and giveaway materials. You want your customers and clients to value your products, but when you package your products in a custom paper bag made from 100% recycled natural Kraft paper, you’re not only promoting your business but also showing your customers that you care about the environment. Build loyalty when you put your customized paper bags in the hands of the right ambassador. This basic self-marketing plan can lead to many new referral customers. Happy customers who value your products and the design of your custom-made paper bags will promote your brand and your business naturally. When designing paper bags to promote your business, you can opt for a customized size, or choose logo lunch bags that can be reused. 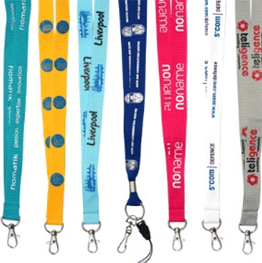 The versatility in sizes enables you to advertise your business in a variety of venues – from schools to workplaces and beyond. 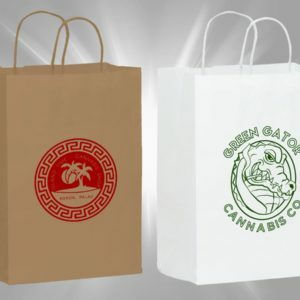 When you choose custom- branded promotions from Gangaprint, you don’t have to worry about how to place your custom logo on paper bags. We do the work for you. Simply place an order for custom popcorn bags, custom-made lunch bags, or earth-friendly shopping bags made from 100% recyclable paper. 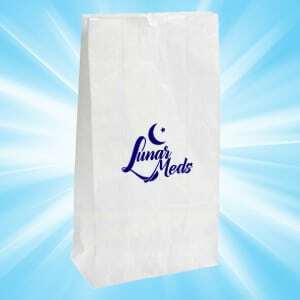 Your logo and/or company name is on display with these durable printed paper bags, allowing your customers to naturally advertise and market your business. Lunch bags are the most popular size of personalized paper bags. With a generous logo imprint size and many stock-free imprint colors available, just about every PMS color you could possibly imagine is possible. A white bag makes a nice contrast for the stock logo print colors to pop off the bag. Talk about an eye-catching design. A natural color paper bag invites Earth tones, and promotes the eco-friendliness that companies are after today. Custom lunch bags make it affordable to promote your brand with every transaction, and turn every customer into an ambassador for your brand. Popcorn bags are small in size but still have a bottom gusset to hold several products. Regardless of the smaller size, any bag with a logo on it can lead to brand recognition, and cause word-of-mouth referrals. Most importantly all of your happy customers carrying your personalized popcorn bags will naturally become ambassadors for your brand. Customized popcorn bags are extremely cost-effective because not a lot of Kraft paper is needed to make each popcorn bag. Shopper bags, made from Kraft paper along with twisted paper handles, are the Cadillac of custom paper bags. These bags are sizeable enough to accommodate almost any size transaction. The reinforced twisted paper handles make carrying items very easy, and the contents of the bag stay secure the whole time. Shopper bags, with their sturdy construction and sizeable logo print space, align your brand with class and elegance. A branded shopper bag is the perfect way to conclude a first-class shopping experience. If you take pride in the shopping experiences of your customers, and trust your employees to give your customers top-notch service, a logo shopper bag is the spark that can ignite great word-of-mouth conversations. Set your brand apart with a deluxe Kraft paper shopper bag. Some of the most profitable transactions are smaller products, but no matter what they buy, every customer deserves the best-quality services. Every customer has a voice to sing your praises. Even a casual customer can become an ambassador and refer your company to all their friends, family, and coworkers. Custom logo merch bags have a pinch bottom, meaning there is no bottom gusset. There is no real need to pay the additional cost for for a bottom gusset if customers are purchasing smaller items that don’t need the extra support. Merchandise bags are a sleek option that are also very affordable. Logos look great on,both natural and all-white bags. Logos that are either made with earth tones or bright colors pop the best against paper bags with a natural brown color. Earth tones that work well are greens, browns, yellows, and oranges. Earthy colors on a natural bag convey at a glance that your brand is economically aware and nature- friendly. Starbucks uses their forest-green mermaid logo against the natural brown paper to position themselves as environmentally conscious. Bright colors also look great against a natural background. For example, a bright blue logo will stand out against a neutral soft tone. Likewise, lime green print looks brilliant on a eathy plain background.great. A natural color bag can provide the perfect backdrop to a vibrant logo that will be super visible to everyone, near and far. White paper bags are a classic. All the colors that are printed on white jump off the bag. Think about the McDonalds white paper bags with golden arches printed on them. If you have a dual-color logo, white bags are often the perfect canvas. All the colors of the rainbow look great on white plastic bags. White bags offer the most neutral background color to blend harmoniously with any logo color. 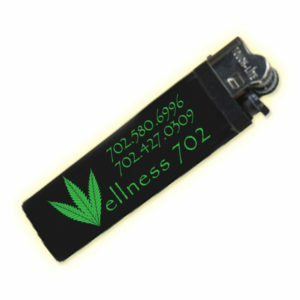 As a retailer, store owner, or smoke shop, you want your customers to remember your products and your packaging. Kraft paper shopper bags are an excellent choice because they to leave a lasting impression. 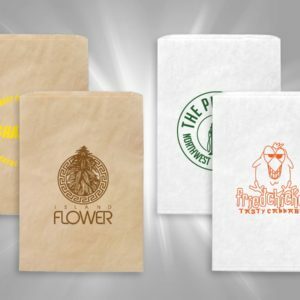 The custom printing for Ganjaprint paper bags follows an eco-friendly process, so your customers leave with their preferred products while also keeping the earth in mind. When their goods are packaged in these personalized lunch bags, your customers will carry them with pride knowing that you care about your brand in a way that also protects the environment from harm. 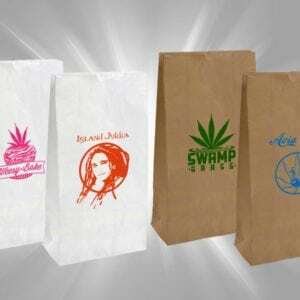 Satisfy your shoppers and your company budget when purchasing custom paper bags at wholesale prices from Ganjaprint. Reap the benefits of packaging your products in earth-friendly bags offered at wholesale prices, especially when buying in bulk. You get the satisfaction of promoting your brand, and your customers get the satisfaction of receiving recyclable custom paper bags, making it a win-win for everyone. Even better, these bags are available in natural brown or white. Competition in the retail market and business sector is often fierce, but when you’re seeking custom-made paper bags that are made from 100% recyclable materials, there’s no need to look any further than Ganjaprint. Our products are the best because they are created especially for small businesses and retail store owners who value earth-friendly products. You’ve taken great care to choose the right logo to represent your brand. 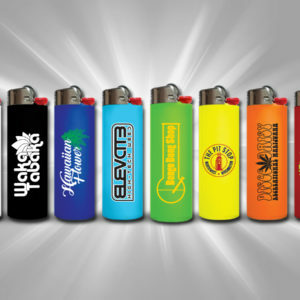 Now, let’s give your brand legs as it travels with every happy customer that leaves your store.